Fortunately, many manufacturers now provide valves with multiple approvals from around the world to facilitate the use of a single component across a wide geographic and jurisdictional range. Even with this accommodation, it is still the specifying engineer’s responsibility to select the correct valve, not only for the application, but for a regulatory environment that is populated with standards and approvals that can be difficult to coordinate with confidence. One prominent valve brand, ASCO, provides a white paper that delivers some insight into navigating this challenge, outlining an array of international approval agencies and providing a clear explanation of how T-codes (temperature codes) vary between US and EU agencies. The white paper is included below, a must-read for any engineer specifying or servicing solenoid valves. Share your process control valve requirements and challenges with product application experts. Their expertise and your process knowledge, when combined, will deliver effective solutions. 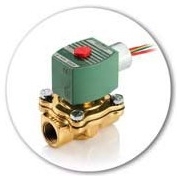 Asco solenoid valve temperature code explanation whitepaper from Classic Controls, Inc.